I have a love-hate relationship when it comes to apartment hunting. On the one hand, it's super exciting as it means a fresh new place and somewhere that you can make a home. On the other hand, apartment hunting in Vancouver especially can be quite arduous and it can take a while to find that perfect place. We've lived in Vancouver for 4 years now and in that time we've had 3 different apartments (and we're now starting to look for apartment #4, which is exciting! ), so I've gotten to know the rental market quite well. I also know the stress that comes with apartment hunting particularly when you're brand new to the city and you're not really sure how everything works. It can be quite daunting if it's your first time renting and there are so many listings posted every day so it can be a bit difficult finding something that's right for you. Thus, I wanted to put this post together to give you a bit of useful insight and a few tips when it comes to finding a place to live, and also share some things that I wish I knew the first time around. It can feel tough at times and I've had plenty of "Gahhh we're never going to find a place!!!" moments, but trust me when I say that you WILL find a decent place to live and something right will come along... you just have to be patient. It also helps to be very organised and on the ball, as the Vancouver rental market is known to be competitive and when you find a place you love, you have to act fast. So whether you're new to the city, if it's your first time renting or you simply have no idea where to start, here are my best tips for apartment hunting in Vancouver. I hope you find this post useful and best of luck finding a new place to call home!! Before you even start to look at places, the first most important step is to outline what you want in an apartment. There are hundreds of apartments listed each day in Vancouver, so it helps to have an idea of what you're looking for to simplify the process and make it easier to find what you want. Do you want a studio, a 1-bedroom or something bigger? Do you want furnished or unfurnished? Do you want somewhere pet-friendly? Do you want to rent a whole place or just a room? Do you want a newer building with amenities like a gym or pool, or do you not mind? And very importantly, what's the maximum you want to pay per month? Knowing what you want and what's important to you will help you to filter through all the listings and it'll make apartment hunting a lot easier. Another important consideration is to think about where you want to live. Vancouver has so many great areas to choose from and the rentals are very different in each. In the most central Vancouver area, your key areas are Downtown, Yaletown, West End, Gastown and Coal Harbour. Apartments in Yaletown tend to be newer and more modern, there are quite a few lofts and many buildings have gyms and amenities. I love Yaletown as it's close to the seawall, it has many park areas and it's close to Downtown yet it still has a community feel. Coal Harbour apartments tend to be the most expensive in the city, the majority of buildings are new and many have incredible views of the North Shore. 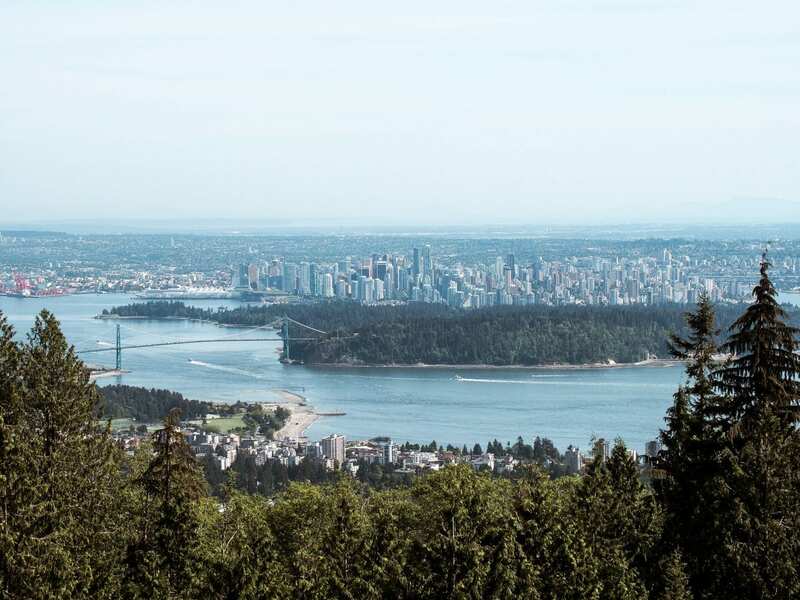 The West End is probably the most affordable area in Downtown, many apartment buildings are slightly older and don't have modern amenities (such as in-suite laundry and gyms), but often they're slightly bigger and cheaper and some are close to the beach and Stanley Park. In Gastown, you tend to find lower-rise buildings and a lot of lofts and heritage buildings. Other great areas which are outside of downtown are Kitsilano, South Granville, Olympic Village, Mount Pleasant, and the list goes on. In these areas, you'll find a mix of houses, suites and apartments. Think about what's important to you - do you want to be right in the city among the hustle and bustle, or do you want to be further out? Do you want to have easy access to the Skytrain, the SeaBus or certain transit lines? Do you want to be close to the beach or green spaces? Knowing this will also help to narrow down your search (if you have specific preferences) as you'll have a better idea of where to look. Now for the exciting part....actually starting the apartment hunt! The key sites to look at are Craigslist, Kijiji, Rent It Furnished and PadMapper. I'd say about 90% of places are listed on Craigslist so that should be your first point of call. PadMapper is a great site, as it collects all the apartment listings from lots of different websites and puts them all on a map so you can filter through them. In the West End, many buildings also have vacancies listed on the door or just outside the building, so if you'd like to live there then I suggest having a walk around the area and keeping an eye out for vacancy signs. Craigslist is very easy to navigate and I recommend using the search tools to filter your preferences, such as price range, number of bedrooms, pet friendly, etc. If you know which area you want to live in, the "map" feature is really handy as it allows you to see all the listings on a map and you can choose based on location. Listings are updated every single day so keep an eye out. It's worth noting that apartments in Vancouver are known to be small. Most studios are between 400 - 500 sq ft, most 1-beds are between 500 - 700, and most 2-beds are between 650 - 1000 depending on the area. This is another thing to think about when you're looking for a place. If you already live in Vancouver and have a house full of furniture, chances are you'll likely want something unfurnished. However, if you're new to renting or new to the city then there are a lot of furnished options available. In fact, the market seems to have shifted a lot - when we first moved 4 years ago it was difficult to find furnished, but nowadays 70-80% of listings seem to be furnished, especially in more central areas. Unfurnished places tend to be a bit cheaper, but then you have to furnish your place. It's not too difficult to do it on a budget if you're savvy. There is an IKEA in Coquitlam and Richmond (both about 30 mins from Downtown) and you'll find everything from sofas to TVs to beds to desks on Craigslist. There are a lot of really well-priced items, some things even for free, you may just need to go pick it up. #5 WHAT ABOUT ADDITIONAL COSTS? One thing to factor in is additional costs for things like Hydro (electricity + heating), Internet and TV. Most apartment buildings have hot water included, but this may vary depending on the building. TV and Internet aren't cheap (it can be as much as $100 a month depending on your package). In a 1-bed apartment, we used to spend $30-$50 per month on Hydro depending on the season. Some apartments do have bills included, but the majority don't. Underground/secure parking often isn't included, this is normally $80-$150 monthly but it varies with area. In areas like the West End and outside of Downtown, you may be able to apply to the city council for an on-street parking permit. If you have a pet, you may also need to pay a pet deposit which can sometimes be as much as half a month's rent. Okay, this is a big one. If it looks too good to be true...it usually is. When you find that 2 bed, 2bath, water view, fully furnished apartment in Coal Harbour for $1,500 a month (which I guarantee, you will), don't be fooled. When the landlord tells you he works overseas so can't meet up or show the apartment, but says he will organise a key drop when you send your deposit, again, don't be fooled. There seem to be a lot fewer Craigslist apartment scams nowadays but that's not to say they don't exist. I've been asked a number of times to hand over the deposit before physically seeing a place which is obviously a huge huge red flag. It can be tempting especially if you're not actually in Vancouver yet and you find your dream apartment, but just be wise, use common sense and follow all the regular rental procedures. If you need somewhere to stay indefinitely when you arrive, there's a great furnished house called House-i in Downtown that's nice and much cheaper than a hotel. We've stayed there twice, all the bedrooms are en-suite and it has a big shared kitchen you can use, and it's a really nice place to stay when you arrive in Vancouver while you're searching for an apartment. It costs upwards of $75 a night or $400 per week and varies depending on room size. If you're new to Vancouver, this will be foreign ground, but it's so important that you understand your rights and what's required of both you and your landlord. Take a look at the B.C. Residential Tenancy website for information on deposits, your rights and responsibilities as a tenant and everything else. When you rent a place, your security deposit can be no more than half of the first month's rent, and make sure you conduct a "walk-through" inspection and complete an official Inspection Form to note down any existing damage. This is really important to have, especially at the end of the tenancy when it comes to getting your deposit back and proving damage that already existed when you moved into the unit. If you ever have any disputes with a landlord, the B.C. Residential Tenancy website above has all the info you need, as well as a great helpline. In our first rental, we ended up filing a dispute as our landlord failed to return our deposit (we got it back in the end). Know that there are measures in place like that should you ever have difficulty with a landlord. It can be quite disheartening but trust me, the right place is out there. Keep looking, twice a day, every day. Apartments get added all the time so you've got to be on the ball. We looked at our apartment just 2 hours after the listing went live, and a few people had already been to check it out in that time too, but fortunately, they liked us and we got it that afternoon. If you're just arriving in the city, clear your schedule for a week or so and be prepared to look at apartments at short notice. It also helps to get your phone sorted ASAP as soon as you arrive so that you can call up to book viewings. Photos can be deceiving, so keep an open mind and don't judge it before you get there. It might look a hundred times better than the photos (and equally, it might look a hundred times worse), but you've got to keep an open mind and judge it when you see it. When you're viewing the house, if you can't envisage yourself living there, or if it doesn't feel right, don't do it. But if your gut tells you yes, then go for it! If you're like me and you're quite particular about where you live, I'd recommend viewing the house in the daytime rather than at night if possible. In dimly lit lighting, it's easy to miss things like mould around the windows, grubby walls and horrible views and an apartment will always look a lot different in the cold light of day! It's also nice to know what kind of natural light the apartment will get and just get a proper feel for the place. Take a quick wander around the block before or after looking at a place. Note where your nearest grocery store is, what the neighbourhood's like and whether there's any construction going on in the immediate area. In our first year, we viewed our apartment at night so we failed to notice the development across the road. It wasn't a deal breaker, but I definitely wish we'd have checked it out more, as it wasn't very nice living across the road from a construction site for a whole year. You never know - you might go see a place, fall in love with it and move in the next day, which means you have to be ready to act. And I say that because that's what happened to us! Our place was already vacant so we signed the contract that afternoon and moved in quite literally the next day so it worked out really well. It's so important to have your deposit ready (it's usually a half-month rent) and remember that you'll also need to have your first month's rent available too. And for a bonus point...stay optimistic! Remember, apartment hunting in Vancouver can take time, so stay optimistic and have faith that something will come up! The perfect apartment will likely appear when you least expect it, so don't lose hope and trust that you'll find somewhere that suits you.